Safeer e Ishq is a 12 Episode Drama Sequel produced by Sahar Urdu Tv Tehran,Iran 2010. This is a story of a man Ahmad, curious about some issues which are not letting him feel to be an Insaan e Kaamil (a complete man) who travels from abroad to Qom,Iran which is considered to b a place named Hoza e Elmia (the center of knowledge and wisdom) to meet his childhood friend Ali, who helps him out solve his mysteries through The Karbala,and Imam Hussain a.s. , and reaches to the answers. Hope you would like the show !!! 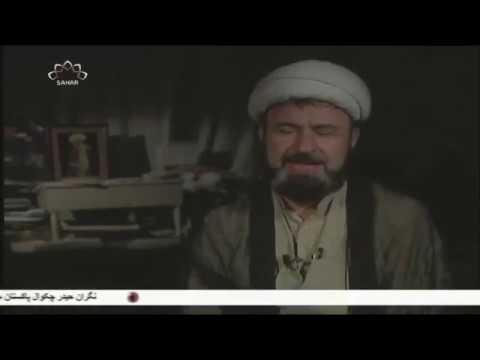 This is the news from al-Kawthar tv with the news of the demise of Ayatollah Behjat. Please recite Surat al-Fatiha for his blessed soul. HE ALWAYS INSISTED ON PRAYING FOR THE REAPPEARANCE OF IMAM E ZAMANA (a.s).